Sea Grass is a Thai word meaning Bael fruit (Aegle marmelos (L.) Correa) is an attractive and characteristically sweet aroma fruit, native to Southeast Asia, known to be a good source of natural antioxidants and bioactive compounds. Sea Grass is a small and friendly, Dine In/Take Away Restaurant in Kogarah, NSW. It is first of its kind, focusing on serving Traditional Thai Food. Want to have a taste of some Thai Food? Well, we at Sea Grass are a perfect match for you. We are a small dine in and takeaway Thai Food Restaurant in Kogarah. Though the place is small but has got a great seating arrangement that goes with the ambiance of the place. The staff is very friendly and cooperative. Don’t worry about the taste or quality because we are here to serve you the very best and mouthwatering Thai food. 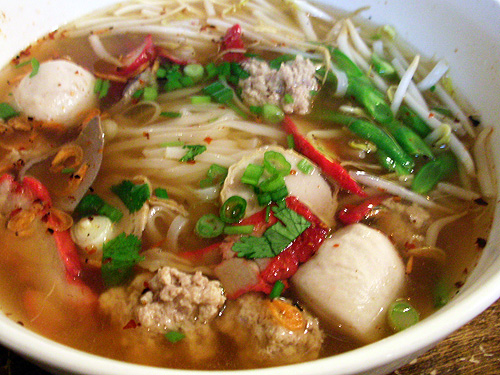 We use the old and authentic Thai recipes to provide the best of Thai food for you. Moreover, the recipes we use are all unaltered and are preserved in their original and traditional form. No more spices added nor has anything been cut off so that you get the classic and pristine food quality that you deserve, and we are always thriving to provide that to you. Our restaurant is professionally cleaned by the best end of lease cleaning company in Sydney. We always prioritize working in a clean and sanitised working environment. The prices are very economical so that you can enjoy your meal and it doesn't put a dent in your wallet. You can also make reservations beforehand so that you don't have to wait when you arrive. your seat will be canceled. Copyright © 2016 Sea Grass All Rights Are Reserved.